Do you like nice books with good story lines and/or quilting? Well, I stumbled upon ‘The Giving Quilt’ and a book of Project Linus quilt patterns (both at the library) and am now hooked on the series by Jennifer Chiaverini. 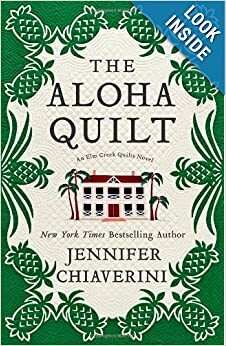 The last book I finished was The Aloha Quilt. I liked this book the best so far and already plan on rereading it (once I have finished the rest in the series). 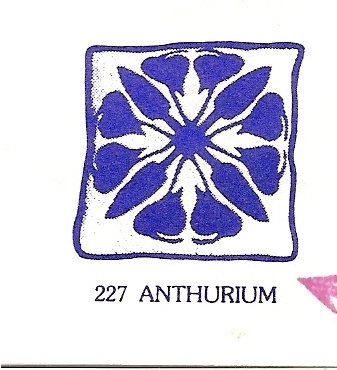 I loved the story, the setting (Maui) and a friend had just given me an unused Hawaiian Quilt patttern (named Anthurium). After reading the book I had to open the pattern and it is how they described as in the book – fold the material multiple times and then cut out 1/8th of the pattern (which goes through all layers of the material). I have a big mental list of sewing (and other) projects for 2014, but after reading The Aloha Quilt the Hawaiian Pillow has come towards the top of the pile. Which book series are you reading and would recommend?